These earrings are a Robert Pelliccia exclusive! 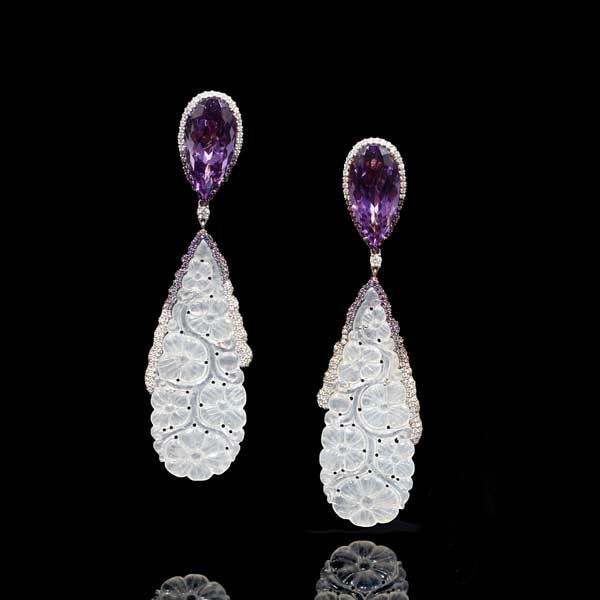 Crafted in 18kt rose and white gold, they feature a teardrop-shaped, diamond-framed amethyst post descending to an intricately carved drop of jade. The cool materials of the earrings create a very hot look!